Welcome to the Peter Bishop fanlisting! Peter Bishop is one of the main characters on Fringe, the American television series by J.J. Abrams on FOX. 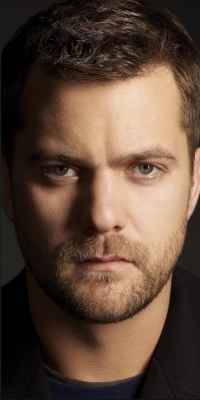 Canadian-America actor, Joshua Jackson, lends his sharp wit and charms to this character. If you are a fellow fan of Peter Bishop, please read the rules and join the fanlisting! While you are here, check out the other Fringe fanlistings too. Who is Peter Bishop? Peter, a jack-of-all-trades type of guy with a high IQ, is the estranged son of mad genius scientist, Dr. Walter Bishop, who has been in a mental institution for the last seventeen years. FBI Agent Olivia Dunham blackmails Peter into being a civilian consultant and "babysitting" his mentally fragmented father (since Peter "speaks Walter") so that they can work on a special task force to investigate mysterious and unexplainable cases that are a part of "The Pattern." Peter is very cynical and quite sarcastic (the best lines on the show are between Walter and Peter!) but he has let his soft side come through at times with his father and co-workers. He has has a knack for reading people (a handy skill at the poker table) and seems to be the voice of reason on the team but has lacked some common sense when it comes to his own life. Note from the webmistress: two of the main reasons I watch this show are Peter and Walter which is why I chose to do a fanlisting for each of the characters. What is a Fanlisting? In this case, it's a place for fans of a particular tv character to come together and build the biggest listing of fans (i.e. a list on a web page) from all around the world. This site is a part of The Fanlisting Network, approved to be the only fanlisting for this character in the TV Character category on 24-DEC-2008. Fanlisting © 2008+ Clair. "Peter Bishop" & FRINGE are the property of FOX. No infringements intended.